The Browns have placed Ogbah on the trading block, Mary Kay Cabot of Cleveland.com reports. 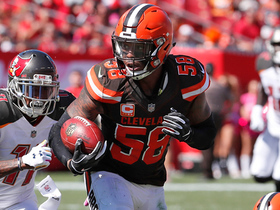 Analysis: With the Browns trading for pass rusher Oliver Vernon on Friday, Ogbah appears to be the odd man out in the defensive end rotation. A high ankle sprain in the 2018 season opener put him on the sideline for the next two games, and he was never quite the same after that. A second-round pick in 2016, he still has upside for a team looking to acquire an affordable defensive lineman while also willing to give up a draft pick. 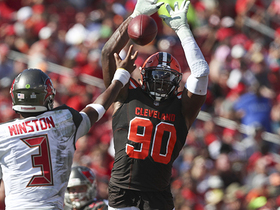 Ogbah recorded six tackles (four solo), including a sack, in Sunday's loss to Houston. Analysis: Ogbah's six tackles Sunday were a season high. He has three sacks on the year, all of which have come in the last six games. 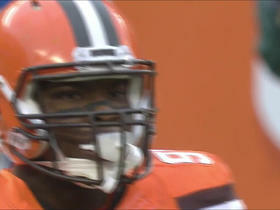 He'll look to continue his high quality play from the past few weeks into the Browns' Week 14 game against the Panthers. 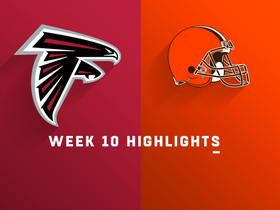 Ogbah recorded two tackles and half of a sack during Sunday's victory over Atlanta. Analysis: Ogbah has logged at least 52 snaps in every game since Week 4, but he still isn't producing at a level that would make him worthy of IDP consideration. 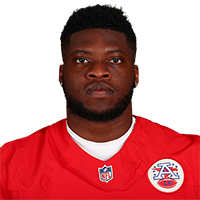 Cincinnati Bengals high snap is recovered by Cleveland Browns defensive lineman Emmanuel Ogbah with good field position. 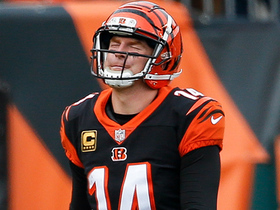 Cincinnati Bengals quarterback Andy Dalton is injured on the play. 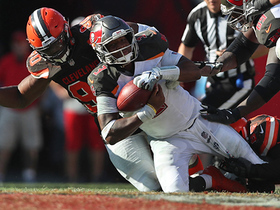 Cleveland Browns defensive lineman Emmanuel Ogbah sacks Bucs quarterback Jameis Winston to force punt giving the Browns one more chance to tie the game. 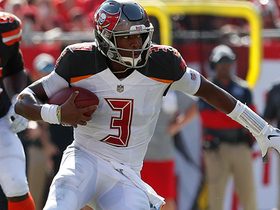 Tampa Bay Buccaneers quarterback Jameis Winston somehow avoids sack to gain 5 yards. 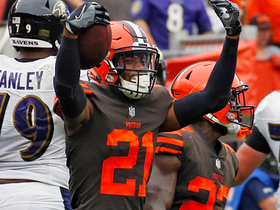 Baltimore Ravens quarterback Joe Flacco's pass is deflected at the goal line and picked off by Cleveland Browns cornerback Denzel Ward. 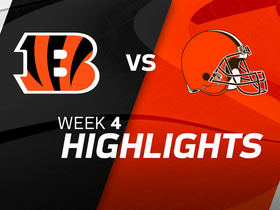 Watch the highlights from the Cleveland Browns vs. the Cincinnati Bengals in Week 4. 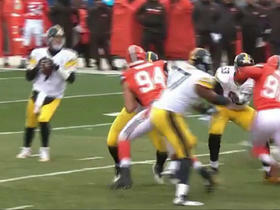 Steelers quarterback Ben Roethlisberger throws impressive diving side arm pass to running back Le'Veon Bell.